Everything is so complicated nowadays, right? I mean – all the selling platforms we have to master – eBay, Amazon, eCommerce and others. Then we have to learn how to connect them all together with highly complicated cross-channel selling software PLUS integrate everything in terms of accounting, time management and what not else! And that’s just the tip of the iceberg – when you take into account marketing (promotions, auto responders, sales etc. ), traffic generation (PPC, SEO, PPV, CPV etc. ), Google Analytics, which on its own is a massive piece of software which would ideally require one full-time employee by itself, suddenly – this all seems just TOO MUCH to handle! Especially if you’re new to business and can’t outsource the majority of these tasks or take employees on board. So, the question really is – can you make a full-time income only from selling stuff on eBay… without anything else I’ve listed here, but just taking a product and selling it on eBay? Can it be done? To give you a quick and direct answer – YES! You can still make a full-time living on eBay without getting into any other marketplaces. Whether that’s a wise thing to do is a whole different question and something we can cover a bit later but for now, just so you know, eBay can still be used as the sole platform to build a full-time income online. 1. You take an un-branded product that sells well (at least 50% sell through rate with decent sales volume). Competition even isn’t that important here as long as you’re a TRS and can create great looking listings. 2. You import that product in TRUE BULK from China, via Alibaba. By TRUE BULK I mean – directly from manufacturers. If that means 1000 pieces of inflatable chairs, that means 1000 pieces of inflatable chairs. 3. You create a great product listing, and using the GTC listing format; build up initial sales using the loss leader strategy and then just keep selling stock from that listing, making sure to re-order in advance to avoid going out of stock. That’s it – it’s actually that simple! And if you look at the biggest sellers on eBay – they do exactly what I have described in these 3 steps: take a product that sells, buy in true bulk and sell via nicely formatted GTC listings. Most people spend way too much time on the product research phase. If you plan to sell just on eBay, it’s really not that important what product you choose to sell as it’s totally fine to sell various products. Sure, having a niche business has its advantages (even on eBay) but in general, eBay is all about individual products at a good price with great service. Then comes the buying/importing part… Now, this is the biggest problem as most people simply don’t have enough money to start buying the products they want in true WHOLESALE amounts. They end up buying from middlemen in small quantities and an inflated price, and then they wonder why they can’t compete with other sellers on eBay. IF you buy in true bulk and choose a suitable shipping method (in most cases that will be SEA freight), you can still have very good margins selling products on eBay, even if you decide to compete on price (not that I recommend doing that). The last step – creating a good eBay listing, actually selling the product and then maintaining a perfect level of after sales support, is the easy part – IF you’ve done things correctly in steps 1 & 2. This business model relies on finding individual products and just selling them to the masses. No marketing needed here apart from well-presented listings. It’s a very simple concept but one that has been proven to work and I don’t see that changing any time soon. • It’s very risky. You basically let eBay have full control over your business. We all know how harsh eBay can be banning accounts and I personally wouldn’t sleep well at night if all my income came from eBay. If you sell on multiple platforms, you automatically diversify your risk and even if eBay does ban you, you still have other parts of your business to fall back on. • You’re limiting yourself, your business, and your income. If you know that a product sells well on eBay and you make a nice profit by doing so, why not simply start selling it on Amazon and double your profits? Business is still all about making money, right, so to me it looks a bit stupid to limit yourself to just one selling platform when there are so many additional selling channels out there! • It’s boring. I don’t know about you as each and every person is different, but I would bore out pretty soon if I just sold on eBay. Very soon it all turns into such a repetitive routine that you start to wonder why you started this in the first place. Making money online is nice of course but don’t forget that you want to feel satisfied with what you do and keep interest in your business at all times. If you’re happy with these three issues, I can’t see any reasons why you can’t build a successful, eBay-ONLY business and make a full time living that way. While this blog post may sound a bit controversial, let’s not forget that it’s NOT an all or nothing situation, far from it! As I recommend in my 60DBP and EAB course – eBay is the easiest and fastest way to get started. Start selling on eBay, gain experience, build your customer base and then slowly expand to other platforms and start using all the software and tools available nowadays. 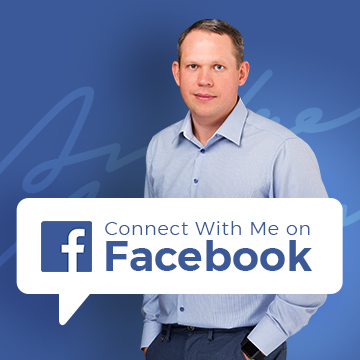 This would be a natural way to evolve your business and it’s the most suitable scenario for people who are new to online selling and want to learn things slowly. It’s so easy to get overwhelmed with this which in many cases causes total procrastination and a complete lack of progress for months or even years. Even if you start with an all-in-one business model, selling a variety of different products on eBay – you always have the option to pick one product or product group later on and build a niche business around it. This is actually what I’d recommend to people who can’t decide what to sell! Start on eBay with a general shop selling anything and everything and then by seeing how things go, choose a niche to build your eCommerce site around. To sum it all up – if selling online seems too complicated a process for you, start with eBay. It’s still the recommended selling platform for newbies. Once you feel you have mastered eBay, expand to Amazon and your own eCommerce shop – that’s where the real fun starts! But even if you don’t plan on expanding to other platforms, you can still make a full-time income by selling on eBay alone! Just keep adding more and more products to your inventory and slowly but steadily increase your turnover and profit! Hii Andrew just quick question how much investment do I need to start a eBay warehouse businesses. What do you mean by an “eBay warehouse business”? I am a 17 year old female who is interested in having my own business and working on it. But i find selling on Ebay a bit risky and its not possible for me right now as i dont have a USA bank account. i think ive got a pretty solid idea for an online store and i dont want to waste time on Ebay. so what advice do you have for me as i find it overwhelming but i am taking it seriously. i am trying to get all the help that i can. Whatever you decide to do, just put 110% effort into it and go for it! about eCommerce and just start working on it. Hi Andrew, I have been selling for the last couple of years liquidated products (primarily electronics) . I learned the hard way how to screen my purchases and got pretty good at sourcing liquidated lots and was doing around $3k a month part-time. But it was always my intention to move into wholesaling from China to scale and to not deal with so many returns (obviously the risk of my customers returning is higher with used products). This was just a way to replace my wife’s income after she got laid off. But it’s sucking all my extra time when I get off from work and I have so little time to focus on true wholesaling. Loaded question with tons of variables, but I am a go-getter and have experience selling on eBay and SEO savvy: how long should I expect to at least get to $3k a month by sourcing a product from China? I’ve already narrowed down my list of products that I’ve researched and think will do very well on eBay. I ask this because I don’t intend on purchasing any other liquidated inventory to focus all time and resources to wholesaling. But I need cash flow fairly quick to cover the deficit from my job and our bills. Thanks for your great articles!!! It’s really impossible to give you answer to that question as it depends on too many variables. But if your budget is good, you have a TRS account, good experience and have already picked good products to start with, you should be able to achieve that income goal fairly quickly. Again, I can’t give any time frames as it’s simply not possible. I have a quick question, you said ebay might ban you, for what reasons would they? And if they can ban you is this still a good idea? Is there something better or things I can do to avoid the ban? You need to play by the rules to avoid bans. Often people over-look the rules (as they’re quite complex) and get banned for selling fake products, prohibited products, providing very poor customer service etc. etc. If you want to sell on Amazon.com, yes, you’ll need a USA based bank account. Thanks for your detsiled post. When you say buy in true bulk, what does this mean excatly? I know it depends on the product but what would you say is a safe amount £2000 for 500pcs of a particular item? and if estimated net profit will be £1000, would you reccommdnd this or would you suggest to buy more than 500pcs of that particar product? £2000 for 500pcs is a bulk order, yes. And if your estimated profit from this deal is £1000, that’s a VERY GOOD price. 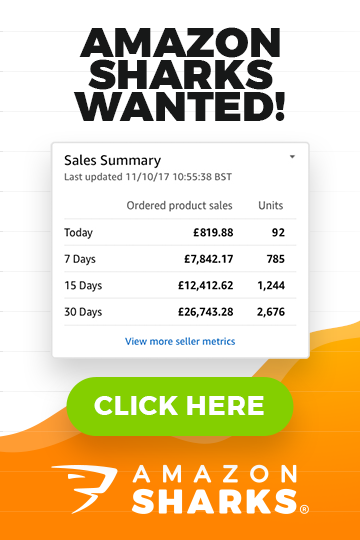 Thank you for your fast response, another question i had was do you think it is wise to just have the one product, for the past couple months i have managed to sell all 500pcs for the £1000 profit each month but do you reckon i should start adding differnt products now or should i focus on gaining more of the market on this particular product? You know what happens with all your eggs kept in just one basket? Right! Obviously it’s better to have more products so that you diversify your risks and build a more stable business. Can I buy in wholesales or fleamarkets brand products (adidas gucci etc…) and sell them? You can of course sell branded products on eBay too BUT just so you know, usually profit margins with branded products are lower compared to un-branded because branded products can’t be sourced as cheaply as un-branded. Also, if you do source branded products, be ver careful as if you don’t know what you’re doing, you can easily get scammed or purchase fakes. Especially with designer clothing, popular branded electronics – internet is full of such scam wholesale websites which offer these products for ridiculously low prices. Don’t fall for these scams as when you send your money to such companies, you’ll not get anything or receive low quality fakes from China which are illegal to re-sell. Thanks for another great topic, I’ve been following your EAB course (and also signed up to eCommerce magnates for later on!). I think I’ve identified a niche product, and been checking out suppliers. the product I’m looking at should retail around £10 here, my question is, is there a rule of thumb for the gross and net profit margins you should be looking at? Another way to look at that question is what is the minimum profit margin I should be looking at to make things worth while? It depends on so many factors that I can’t give you one formula/answer to follow. The higher the margin, the better of course! If you can buy in true bulk, you shouldn’t look @ anything less than 50%. If you have your own brand, that number can go up as high as 70% and 80%. It really depends on how well you can position your product, the quality of it etc. Andrew, a lot of people like me are skeptical or stuck on finding a product, my issue is trust. I want to know how long until I begin reaping the rewards, I suppose that depends on how hard I work and how far I get, but it’s pretty risky to buy 1000+ items and then find out they don’t sell – or that they sell, but my margin in profit, after subtracting eBay fees is only a few dollars a sale, if you include packing and shipping, that means I am earning a few bucks per product. Do you consider this successful for a beginner? Even if it takes a few hours to pack products, and maybe will only result in a “minimum” wage income? Or do you devise a system for each of the processes (packing, shipping, templates for ads) so that you can make it a repetitive process and have steady income coming in, what do you think? As for the risk – IF you use Terapeak, check manually on eBay what’s going on with that particular item, create outstanding listings, chances of it not selling are very slim. Especially if you’re a TRS and can get listings ranked on first page of search results. Do the research work before you buy anything. It’s the BUYING moment when you make your profit, not the selling. As for packing orders for minimum wage – yes, of course! It’s actually good if you can make minimum wage in the beginning this way as there are always fixed costs and set-ups which get cheaper when your business grows. With that being said, you should automatize as many processes as you can, from day one! This includes listing creation/editing/scheduling via Turbo Lister, using order processing software (or same Selling Manager Pro), print address labels in bulk and so on. If you do all this, you can pack as many as 20 and even 30 parcels per hour.